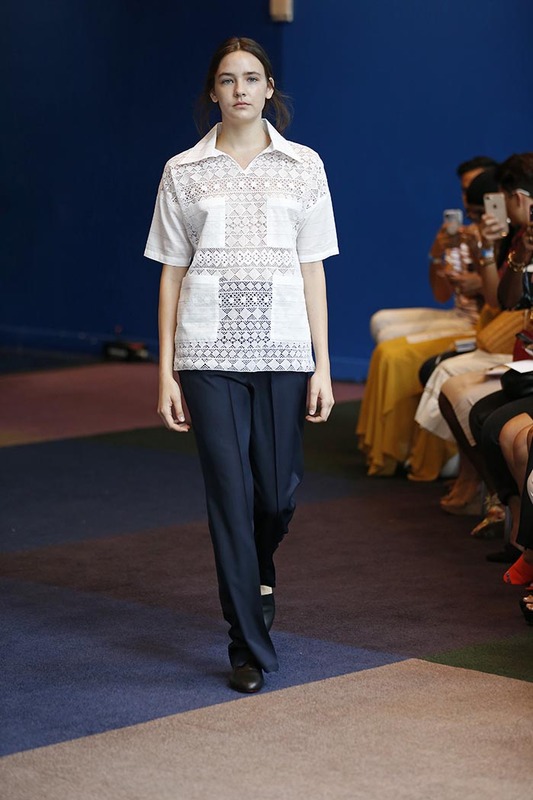 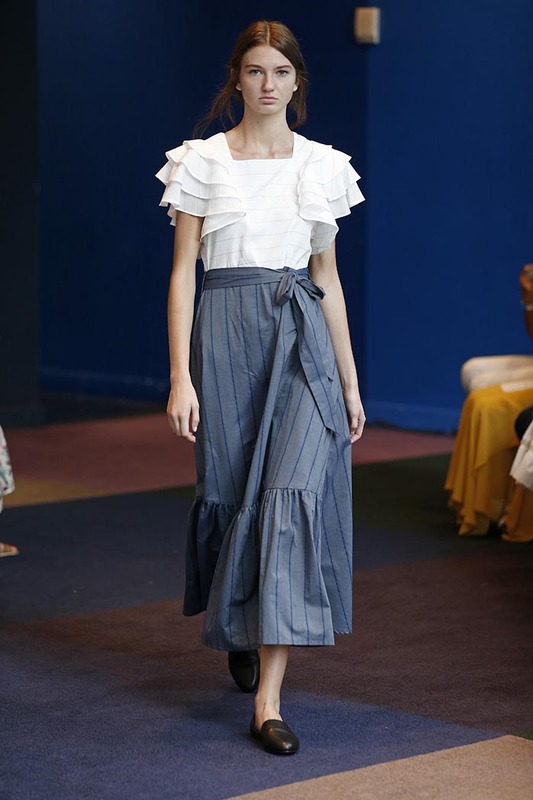 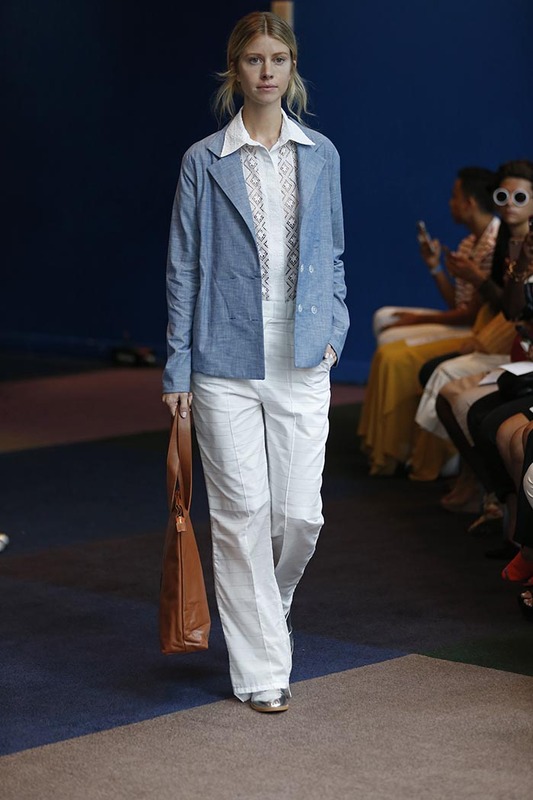 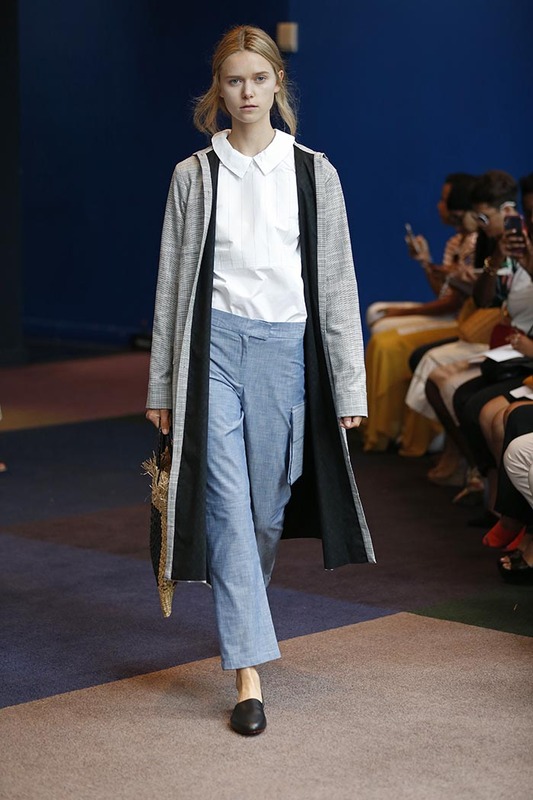 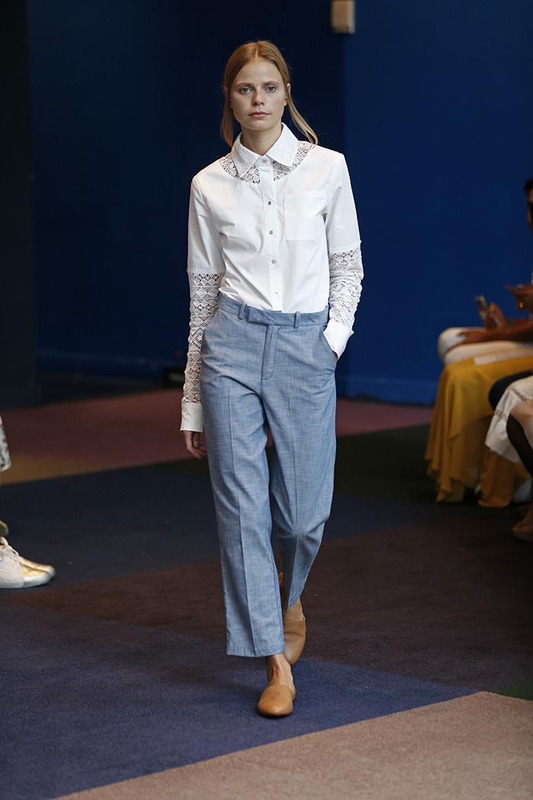 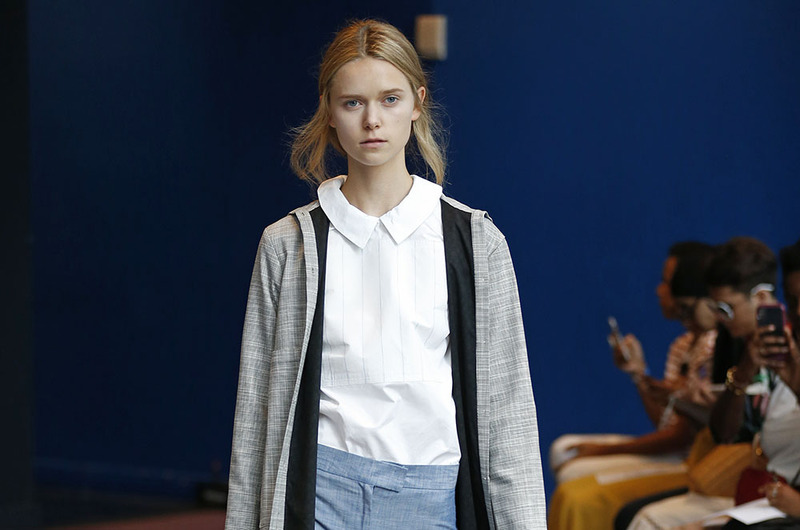 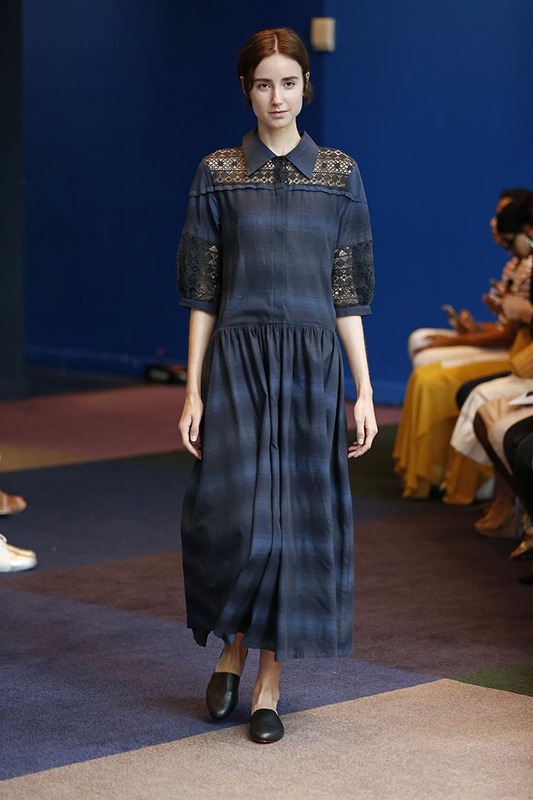 KÛR by Kasuni Rathnasuriya’s SS19 collection “Compact Traveller” represents a hybrid collection of business casual and leisure looks. 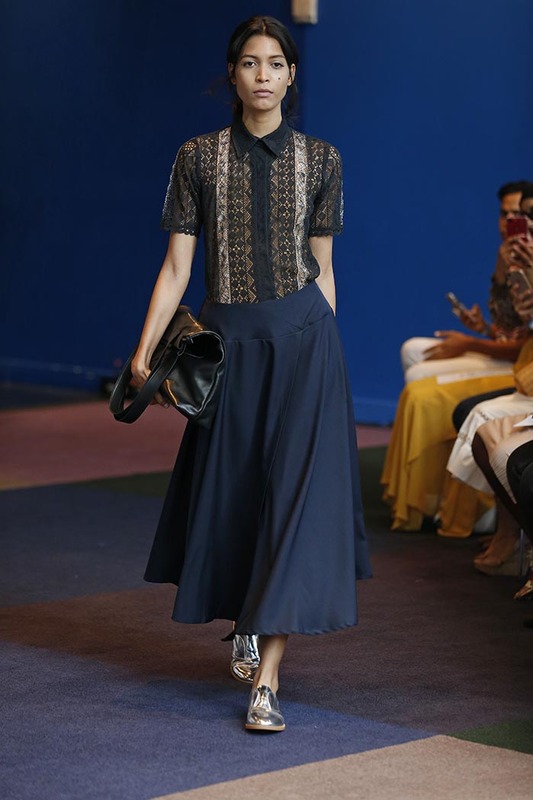 The silhouettes are completed with KÛR’s signature handmade Dutch and Portuguese lace—currently on the verge of extinction—and the finest textiles from Japan. 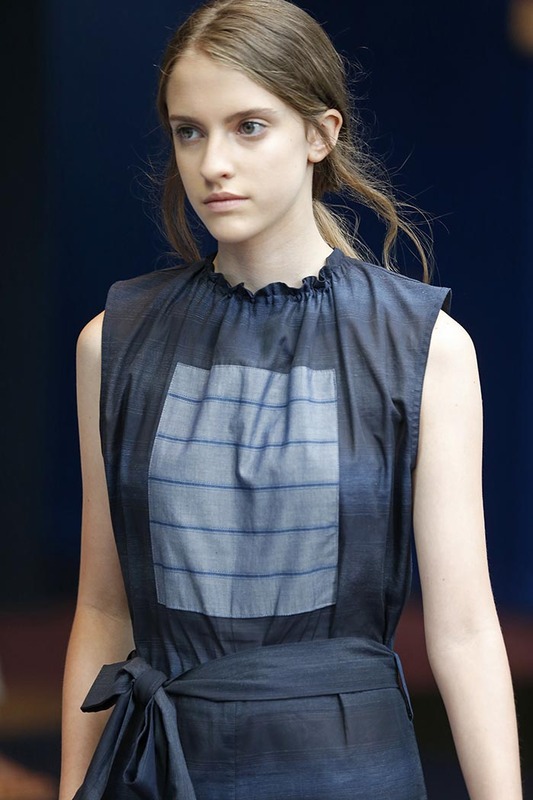 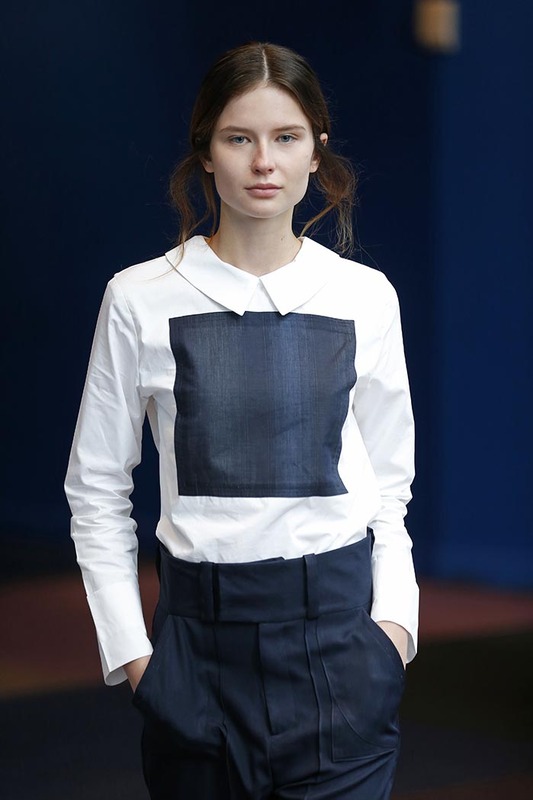 The garments reflect a heavy artistic influence from the “Suprematism” art movement and the “Black square” painting of Russian Artist, Kazimir Malevich. 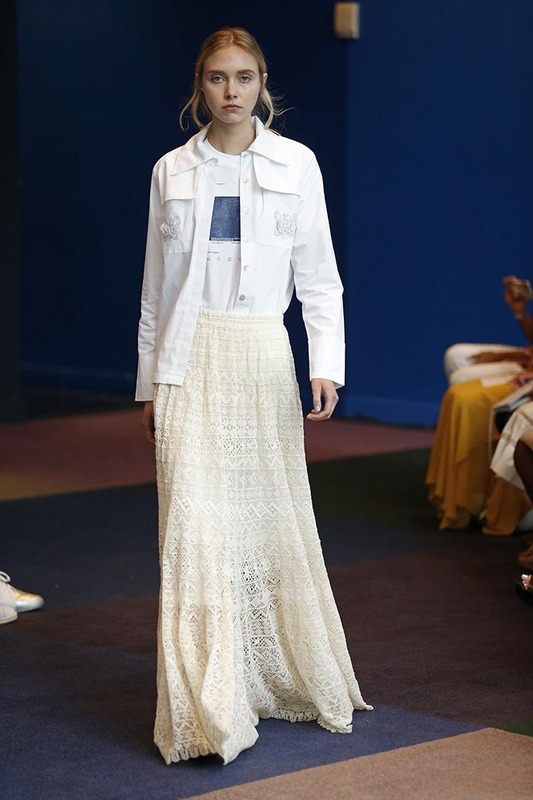 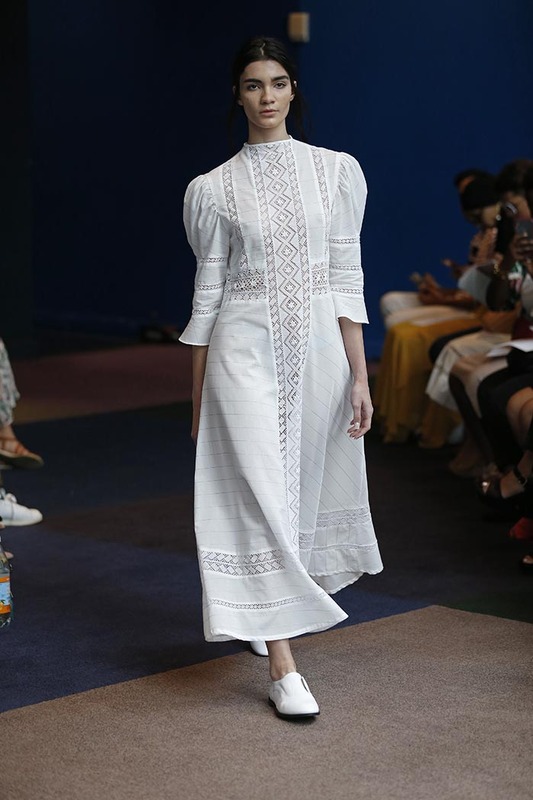 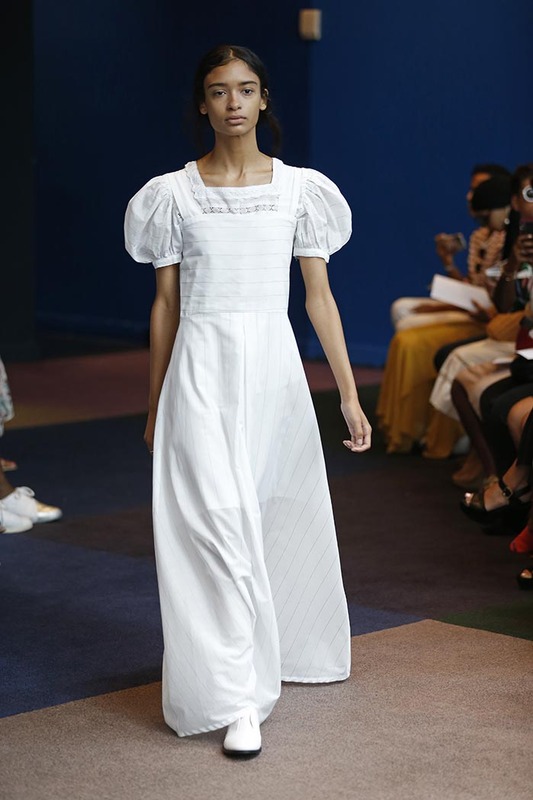 Intricate lace in geometric patterns infuse the silhouettes while clean whites create a power statement set against bold neutrals and hues of blue. 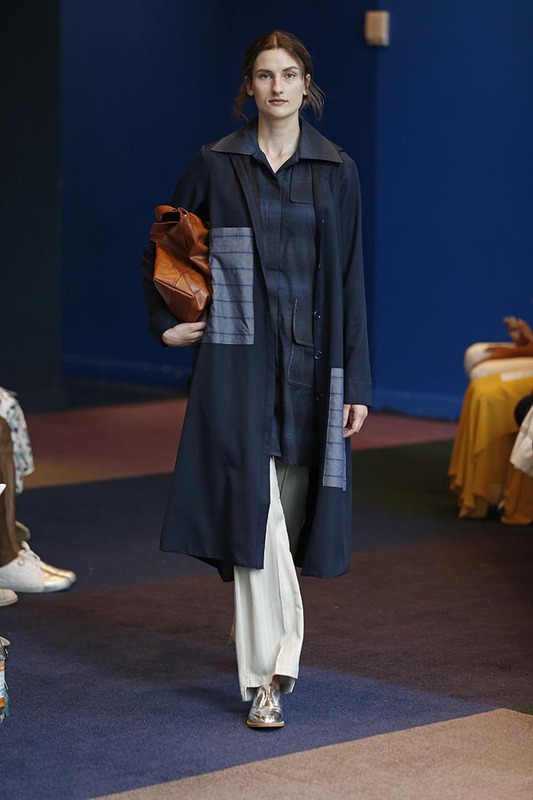 The looks are finished with slip-on oxfords, comfy mules and leather bags with an artistic swoosh symbol. 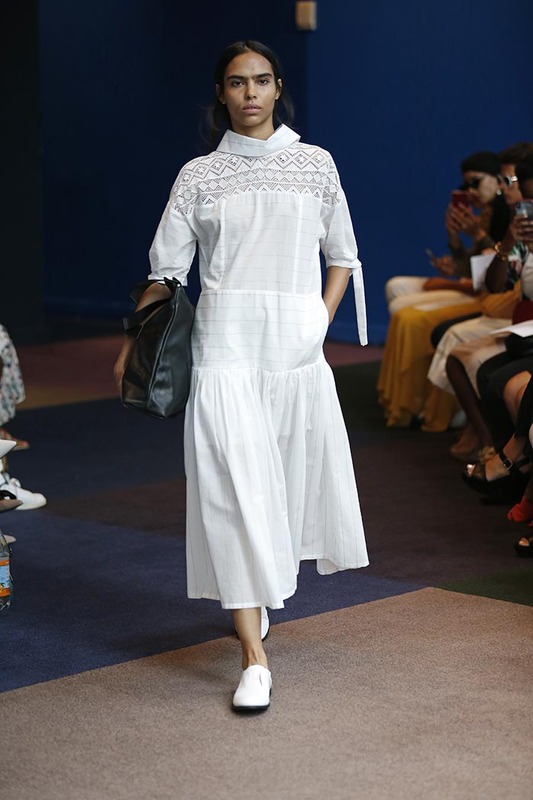 KÛR is an authentic women’s ready-to-wear brand that expresses a sense of freedom and serenity. 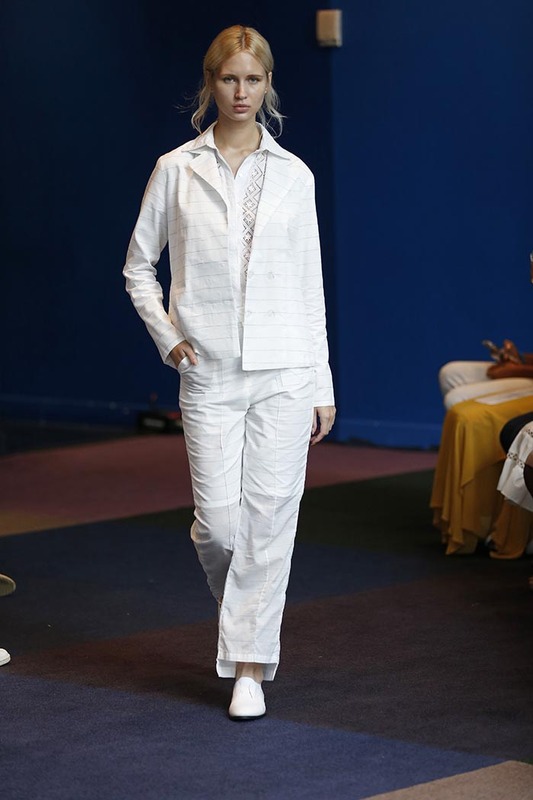 Through a unique production channel, KÛR helps to revitalize a dying craft in Sri Lanka while empowering the less-privileged Beeralu weavers, mainly women, in the Southern coastal region of Sri Lanka. 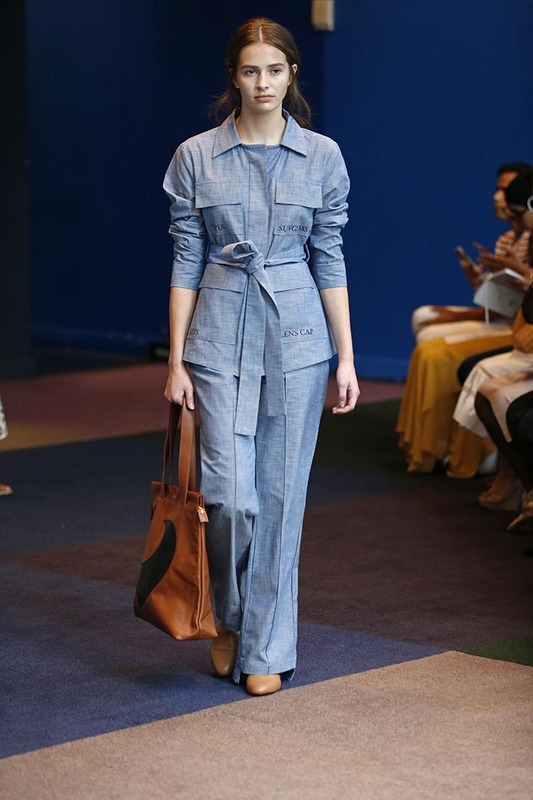 The collection employs local craftsman and draws inspiration from tradition and heritage in Sri Lanka.